Democracy has come to the people. 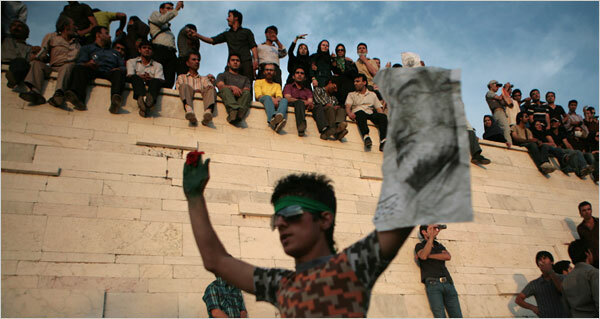 Right now there is a start of a revolution in Iran. People are protesting the election process and Twitter is in the. Here's a fun account from MediaPost of the phenom of Boomers joining the world of online social networking. As the article begins: "'Congratulations! Your. Maman Poulet » How rubbish does this sound? Social media sites are challenging levers of state media control and allowing Iranians to find novel ways around restrictions.